The Harkin on Wellness (HOW) Symposium is an annual gathering to discuss timely topics associated with wellness and nutrition. Throughout his career, Senator Tom Harkin (retired) sought health care system reforms and discussions to bring a progressive focus to prevention, wellness, medical research and food and drug safety. Each year, the HOW Symposium will gather practitioners, policymakers, students, educators, and members of the public for an day-long, engaging and educational event. 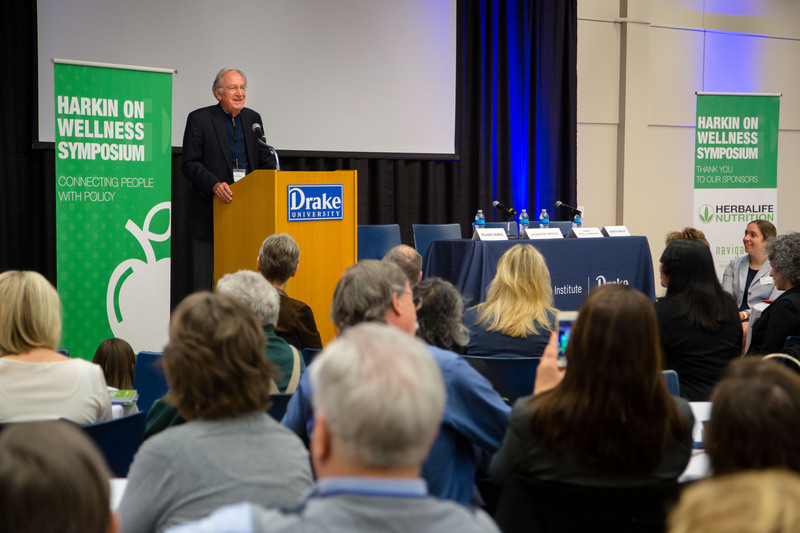 The 2019 HOW Symposium: Public, Planet, and Health Policy: A New Age Approach to Food Systems will take place April 3, at Drake University. Join The Harkin Institute as we discuss the intersection between sustainable global food systems and the state of American health. A full copy of the agenda is available here. Free street parking for The Harkin on Wellness Symposium is available on University Avenue. Parking is also available in the Olmsted Center parking lot, but a daily pass is required.